After Party cleaning service/Function Cleanups services etc. 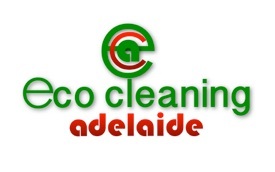 ECA Cleaning Service is one of ADELAIDE’S premier Commercial cleaning services. In addition, we are also the marquee home Cleaning company in the city. There are hundreds of individual Cleaning companies in ADELAIDE, each providing a single first impression with which to gain the confidence of prospective clients. We want to ensure that a lasting impression is made by the quality of your business, and we know the first indication of quality is cleanliness. We are committed to providing the most professional and thorough cleaning services in adelaide has ever seen! We also offer House cleaning services and Apartment building Cleaning services.. At ECO cleaning adelaide there is simply nothing more important to us than exceeding the standards of our clients, and we do so by offering the most professional House cleaning services adelaide has to offer. ECO Cleaning Service provides expert home and Commercial cleaners, trained in proper janitorial methods and techniques to satisfactorily maintain the facilities during the scheduled times. As a premier ADELAIDE cleaning service, our cleaners understand the importance of maintaining a clean and professional atmosphere; our cleaners have the experience and skill to make you Commercial space and Home sparkle. Workers are properly trained in order to avoid physical hazards on the job. When training our employees, we teach them how to avoid and prevent: radiation exposure, falls while climbing, accidents with machinery, ergonomic injuries and slips and falls. We also train our personnel in hazardous chemical communications. It is our responsibility to ensure procedures are strictly followed. When choosing ECO Cleaning Service for your Commercial and Residential cleaning services, you can be confident that the cleaning services will be consistently excellent and professional, with flexible hours at a competitive price. Our professional Home and Commercial cleaners are insured through the company in the event of an accident or injury on the job; we carry Commercial General Liability Insurance . Proof of insurance can be presented upon request. As is the case with all contract Cleaning services, for the most accurate information and quotes, it is best to contact us directly by TELEPHONE or EMAIL. We will review your request, obtain all the information we need, and provide you with the Best Cleaning services in adelaide. The movement towards environmental and health friendly services is a changing way of life that isn't likely to go away any time soon. Both businesses and service providers are seeing the benefit of going green and using eco-friendly products. This includes the janitorial, or professional commercial cleaning services, as well. If you are a business that utilizes the services of office cleaners, you may not have considered that you can hire an environmentally friendly office cleaning service. A green cleaning service is one that uses eco-friendly products that are safe for your staff, their employees and the environment as a whole. Green cleaning is an eco-friendly way of cleaning that avoids the use of harsh and potentially dangerous chemicals and cleaning methods. For a janitorial company or office cleaning service to be considered a green cleaning service they must use cleaning products and methods that are considered clean, safe, and friendly to the environment. This means that office cleaners and other janitorial service providers must use products and methods that are not harmful to the health of the people who are using it or to the people who work or live within the building or establishment that is being cleaned. Also, in order to be considered green the products must not have a detrimental impact on the environment. Although it must be safe for human and environmental health, the product must still be able to clean and work as it is intended. When a commercial cleaning service goes green, they are committing to do more than just use cleaning products that protect your health and the environment. Green cleaners are also making steps to create healthy and eco-friendly policies and to properly train their employees on green cleaning techniques and practices. This commitment is important because of the overall positive impact that green cleaning has. When office cleaners use traditional cleaning products, the chemicals from those products can leach into the environment either through aerosol sprays or through the water when the cleansers are flushed. Once this happens, it can contribute to air pollution or it may enter the water system and harm aquatic life or alter the chemical balance of the water. More and more, office cleaning services are recognizing that their efforts can make a significant contribution to the health of the environment and that by becoming green cleaners they are providing a valuable and increasingly popular service for businesses like yours. There are a number of reasons why your business should consider turning to a green cleaning service to meet your need for professional commercial cleaning. Traditionally, office cleaning services use commercial cleaning products and tools that may contain chemicals that can be harmful to you and your employees. Although on the surface they appeared to clean, the chemicals from those cleaning products often result in poor indoor air quality within your office building. Traditional cleaners that are not green cleaners are also the potential cause of problems such as irritation of the eyes, skin or lungs, and they could eventually lead to diseases or conditions. The severities of these risks are dependent upon the type of building or workplace and how long staff occupies the building. For example, people who work in hospitals are exposed to these cleaning chemicals for longer durations of time because they tend to work longer hours. In addition to improving the health of employees, a green cleaning service creates a healthier environment for customers as well. By using a commercial cleaning service that specializes in green cleaning, you are not only providing a healthy place of employment, but you are also contributing to the productivity of your staff by reducing their risk of getting sick. Green cleaners that provide healthy and environmentally friendly office cleaning services greatly reduce allergy symptoms and reactions to cleaning chemicals. Green professional commercial cleaning products and supplies also won't put an additional strain on your budget. When choosing a eco cleaning adelaide service, you should keep several things in mind. Naturally, they should be a service that does a thorough job in cleaning your business. They should also have clear “green” policies in place. Green cleaning supplies should not suffer when it comes to quality and nor should the cleanliness of your office. Additionally, using a janitorial service that has gone green should not increase your cost of hiring a commercial cleaning service.